We’re now entering my absolute favorite (part of a) season – the second half of autumn. Mornings and evenings are extra crisp, and the days are just cool enough to necessitate a sweatshirt. There’s something invigorating about weather that gives you goosebumps but stops short of making you shiver. And being the vampire that I am, it’s also quite enjoyable to have the sun’s intensity dialed down. The ingredient that makes my cornbread both fluffy and healthy is yogurt. And lots of it. Yogurt is a great substitute for butter or oil when you’re making quick breads, of which cornbread is my favorite. 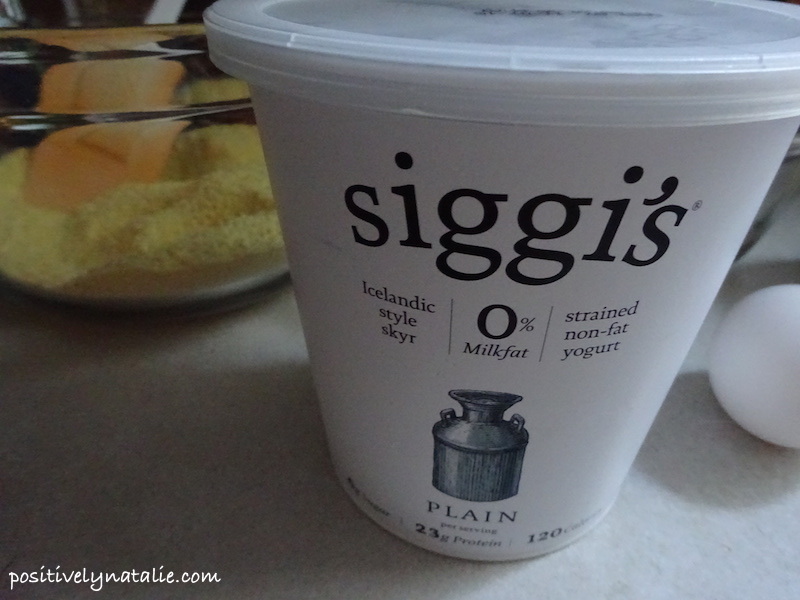 In the past I’ve used regular plain yogurt, but this time around I used siggi’s plain skyr and the result was magical. Start by preheating your oven to 375°F and spraying an 8 inch round baking pan with nonstick spray. I prefer to use the baking spray that has a bit of flour in it, but if you want to make sure this is gluten free just grease your pan however you please. 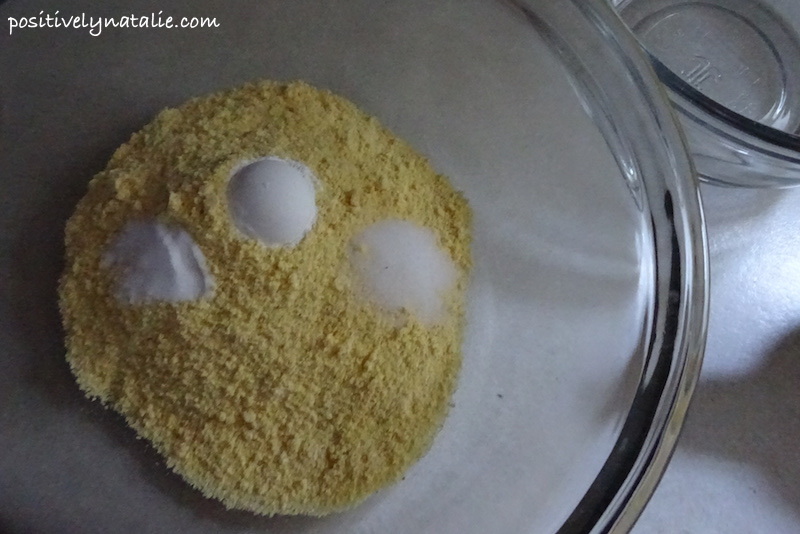 In a large bowl mix together 1 cup cornmeal, 1 tsp baking powder, 1/2 tsp baking soda, and 1/2 tsp salt. Even though I’ve made this bread so many times I don’t need to consult the recipe, I somehow always get paranoid that I’ve mixed up the amounts of baking powder and baking soda and end up triple-checking my recipe notes anyway. Feel free to skip the paranoia. 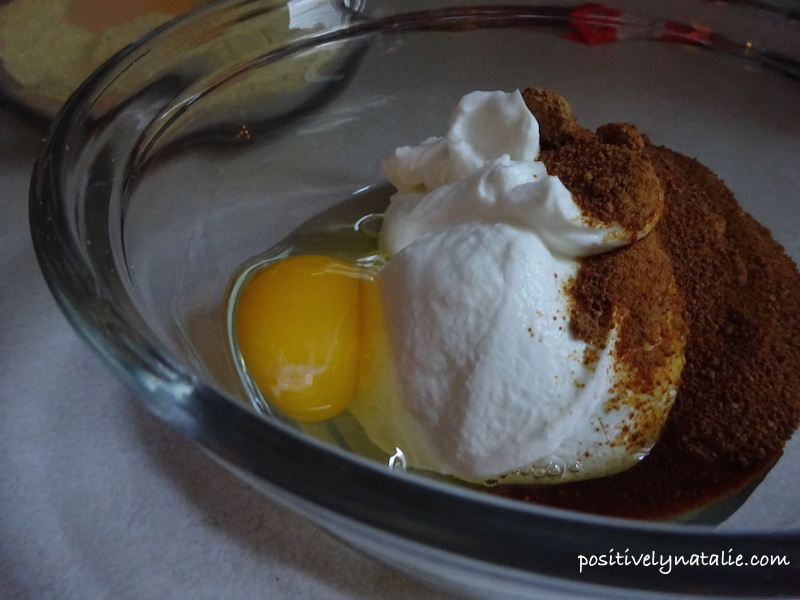 In a smaller bowl, combine 1 cup plain yogurt, 1 egg, and 1/3 cup coconut palm sugar. The sweetener you use is also adaptable. 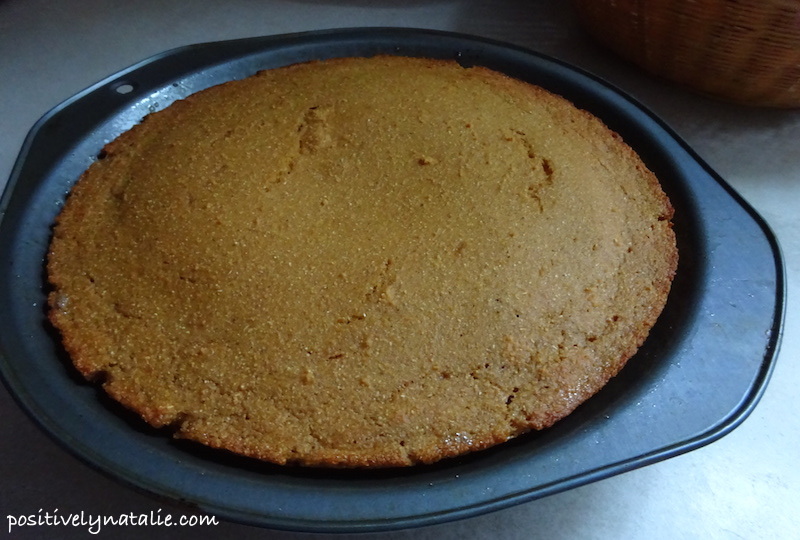 Coconut sugar has a deeper flavor, closer to molasses, and will give the cornbread a much darker caramel color. The reason I like to use it is because coconut sugar is a natural sweetener that purportedly has a lower glycemic index than white sugar, though I have yet to read a scientific study that proves that to be absolutely true. From personal experience, I can say that it seems to me to be more slowly digested. 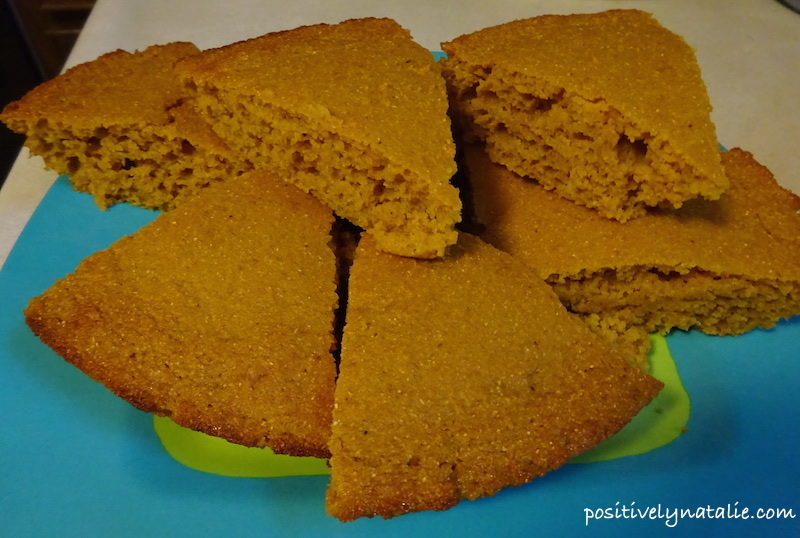 If you want your cornbread to have that familiar bright yellow color and just a hint of sweetness, I’ve successfully made this recipe before with both regular granulated sugar and Splenda. The bread does seem to come out just a bit more dry if you use Splenda, so keep a close eye on the cooking time. Fold your wet ingredients into your dry ingredients, and mix thoroughly so that there are no dry pockets. Pour the batter into your prepared pan and bake for 15-20 minutes, or until it passes the toothpick test. The cooking time will depend mostly on your oven, but also on your choice of sweetener. Splenda tends to be closer to the 15 minute mark for me, while this batch with the coconut sugar took the full 20 minutes to bake. If you’re anxious to dig in you can cut this right away, but it’s less likely to crumble if you can hold your horses and wait five minutes. Trust me when I say I know there are some days where waiting is just not going to happen, and that’s ok. Cut the cornbread into 8 wedges to serve, and since there’s no butter in the mix I feel good about putting a little bit on top. If for some reason all the wedges do not get eaten immediately I store leftovers in the refrigerator. Leftover wedges can be reheated to eat on their own, or I find they’re great for dipping into hot stew or chili straight from the fridge.